The International Production & Processing Expo is the world’s largest annual poultry, meat and feed industry event of its kind. A wide range of international decision-makers attend this annual event to network and become informed on the latest technological developments and issues facing the industry. All segments of the industry are represented: feed milling, hatchery, live production, processing, further processing, marketing, and all support activities. dry-cereal and grain processing industry. If you would like to learn more about our products and solutions, please visit our downloads page by clicking the button below. Our Pellet Mill 850 ensures an even distribution of the enormous mechanical forces on the heavy bearings of the solid main shaft and intermediate shafts. The stepped transmission via V-belts and timing belts permit the application of higher motor powers. 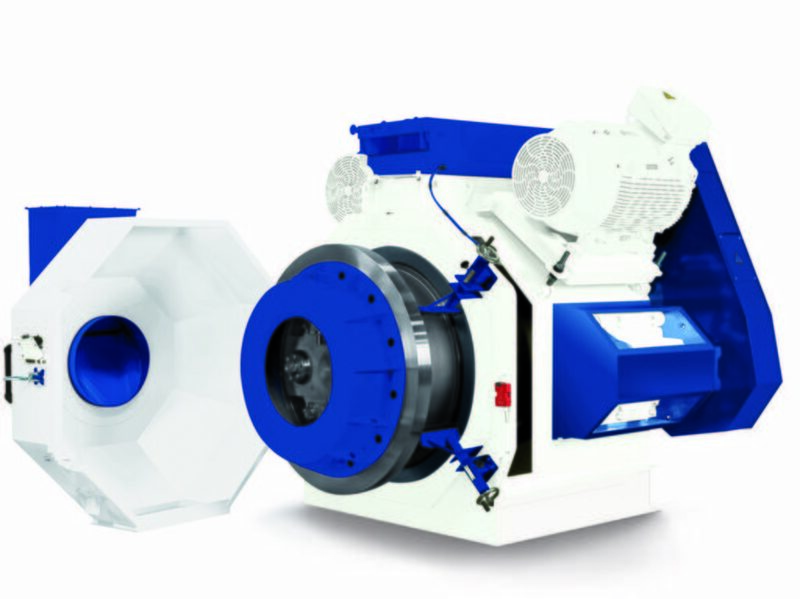 Combined with the refined transmission, the robust frame guarantees a stable and vibration-free pellet mill during production. Robust construction with integrated base plate. Double-walled door, dust plate and quick-dump chute in stainless steel. Solid main shaft with heavy duty spherical roller bearings. Conical die holder and cast-iron pulley. Two-stage transmission via V-belts to intermediate shafts and HTD timing belts to main shaft. Eric Stibora joined Anderson International in 2008 and has been instrumental in establishing Anderson Feed Technology, a joint venture with Ottevanger Milling Engineers. He began his career as a Process Engineer; commissioning, troubleshooting, and servicing hundreds of processing systems worldwide in the oilseed and feed industry. This position prepared him for a career in technical sales where the client’s needs come first. Eric now oversees all sales efforts for Anderson Feed Technology. He has a Bachelor of Engineering (B.E.) degree in Chemical Engineering from The Ohio State University. Enrique Díaz joined Anderson International Corp in 2017 and has been involved with oilseed extraction equipment since 2009. He also is one of the Account Managers at Anderson Feed Technology. His professional career started in 1995 with an Internship in Agribrands Purina de Venezuela, then in 1996 as a Production Supervisor in a Feed Mill owned by a Vertically integrated Poultry Company. He has been working in the animal feed industry from 1996 till 2004. Enrique has a Bachelor of Science (B.S.) with an Animal Production Engineering Degree from The Rafael Urdaneta University in Venezuela. Wayne Cooper has been improving the feed industry since 1990. Much of that time was with Cooperatives in Iowa, solving production issues for customers and striving for better production in feedmills. Most recently, he completed a 4.5 year contract as Director of Feed Technology for Cherkizovo in Lipetsk, Russia. There, he directed the production of 1.8 million tons of pelleted feed per year, guided the construction of two feedmills, strategized the long term usage of mills, and conducted training efforts for key employees. He determined what type of equipment was needed and how to best utilize the equipment in the seven mills. This led to a great working relationship with the Ottevanger group and the Account Representative position with Anderson Feed Technology today. Visit our website to discover our production equipment and processing lines for the grain processing and compound feed industry.